Humpback whales are iconic animals, ambassadors of the world oceans. The image of a humpback whale fluke lifted clear off the water became the symbol of the environment movement, and the recording “Song of the Humpback” whale opens our minds to their acoustic world and their potential to inspire. Their acrobatic breaching is one of the most sought-after wildlife images for photographers and film-makers worldwide. Humpback whales are returning year after year in increasing numbers to feed in Irish inshore waters along our south and west coasts. But where are these humpback whales coming from and going to? 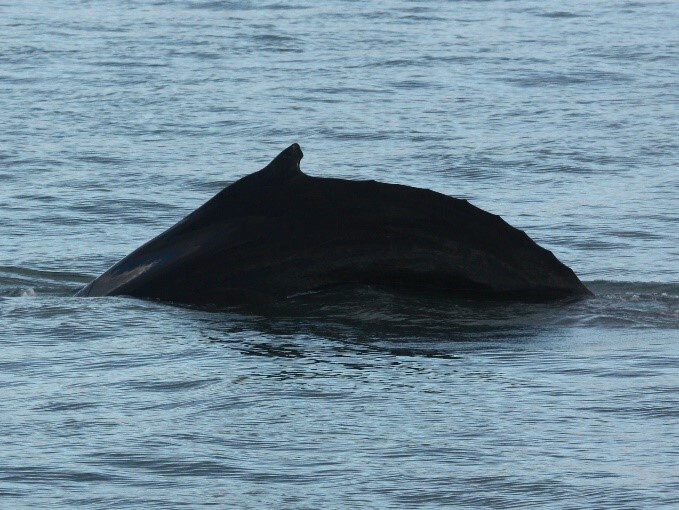 Working with colleagues in Iceland and the United States, the Irish Whale and Dolphin Group (IWDG) have recently identified the same individual whales in both Irish and Icelandic waters, often in the same year. So, we know that Ireland and Iceland share a whale population, and this expedition aims to build on these findings. The IWDG’s research vessel, the Celtic Mist, will sail to Iceland in late May 2018 and spend a month exploring Icelandic waters, aiming to locate humpback whales and other whale species to obtain more Photo Identification images. We will work in collaboration with the Icelandic Marine and Freshwater Research Institute and with colleagues from the University of Iceland. During our stay, we will visit coastal communities to promote links and collaboration as well as our shared responsibility of humpback whale conservation and management. We will sail to Iceland at the end of May on the IWDG research vessel Celtic Mist. We will spend four weeks surveying Icelandic waters for humpbacks to try and increase the number of matches between Ireland and Iceland. We will provide colleagues in Iceland with a research platform during our stay in Iceland and build links and partnerships with coastal communities to remind them of our shared responsibilities. Iceland still hunts whales for food and export, it’s important to remind both residents and visitors to Iceland that whale populations are highly migratory and do not belong to any one nation, but to us all. Locate and photograph humpback whales in Icelandic waters to try and match with whale photographed in Iceland. We will work with colleagues at the Marine and Freshwater Research Institute (MFRI), Reykavik ( https://www.hafogvatn.is/) and the University of Iceland's Research Centre, Húsavík (http://rannsoknasetur.hi.is/university_icelands_research_center_husavik). We will facilitateTom Grove a PhD student to collect biopsy samples from humpback whales using of drones to collect samples from whale exhalations. We also look forward to collaborating with the Húsavík Whale Museum (http://www.whalemuseum.is/) which is a non-profit organisation, founded in 1997. Its foremost aim is to provide detailed and interesting information about whales and their habitats. The Whale Museum, along with the University of Iceland’s Research Center forms the educational component to the whale watching trips, enjoyed in Húsavík during the summer months. 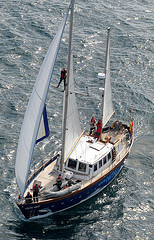 IWDG members will sail Celtic Mist throughout this expedition. 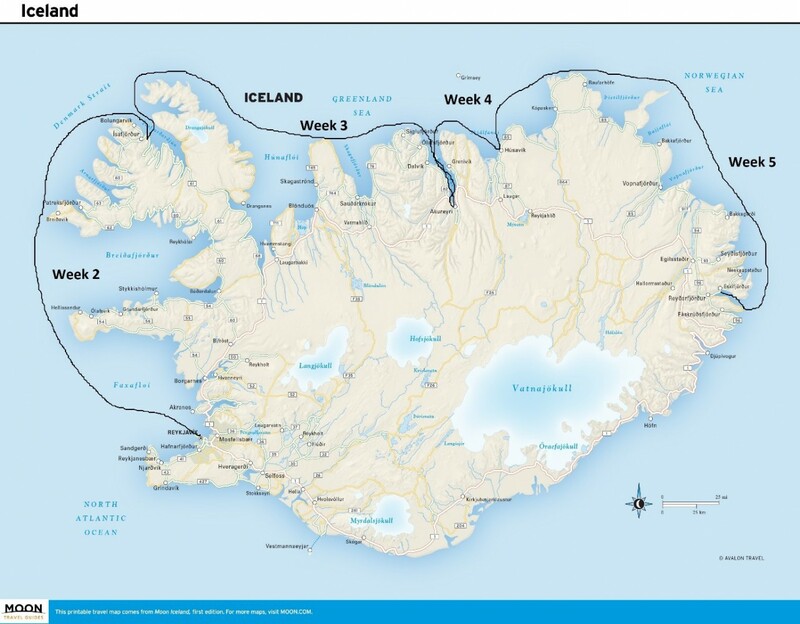 IWDG will require an experienced skipper and crew to travel the 1500km to Iceland. Once there we will invite IWDG members to crew Celtic Mist as we travel around the entire coastline of Iceland documenting the whales and dolphins and visiting schools and centres in coastal communities. After circum-navigating Iceland we will return to Reykjavik before the week-long passage back to Ireland. 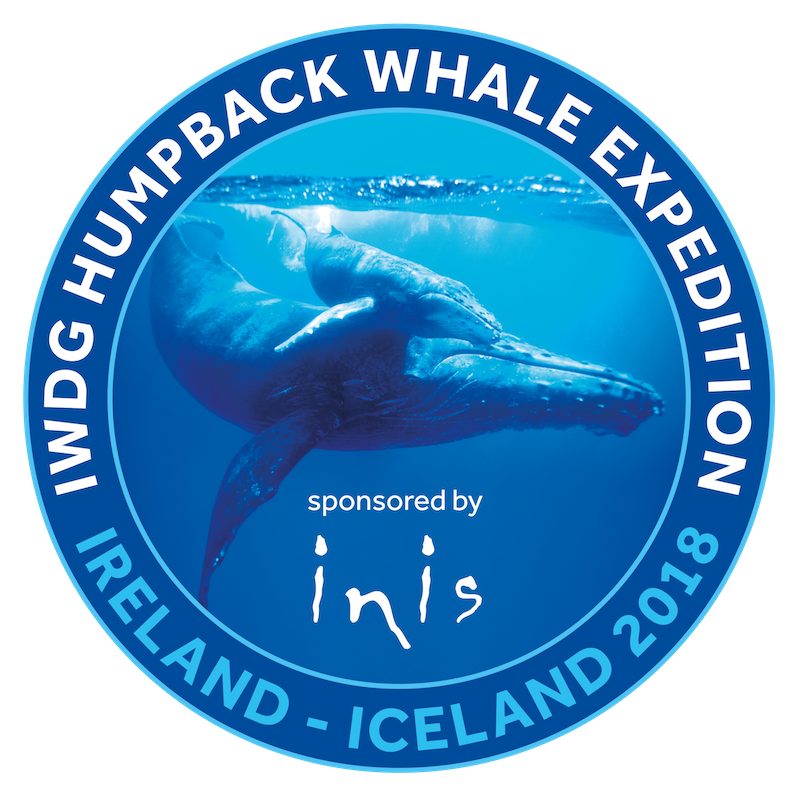 The IWDG have recorded an increase in humpback whales visiting Irish waters and since 1999, we have documented 85 individual humpback whales in Irish waters, recognised by unique markings on their tail flukes and three of these whales have also been recorded in Iceland. Over one-half of these whales have been recorded in more than one year showing they are returning to Irish waters. Some have been re-sighted in 12 of the past 17 years ! But where are these whales coming from or going to when not in Irish waters ? 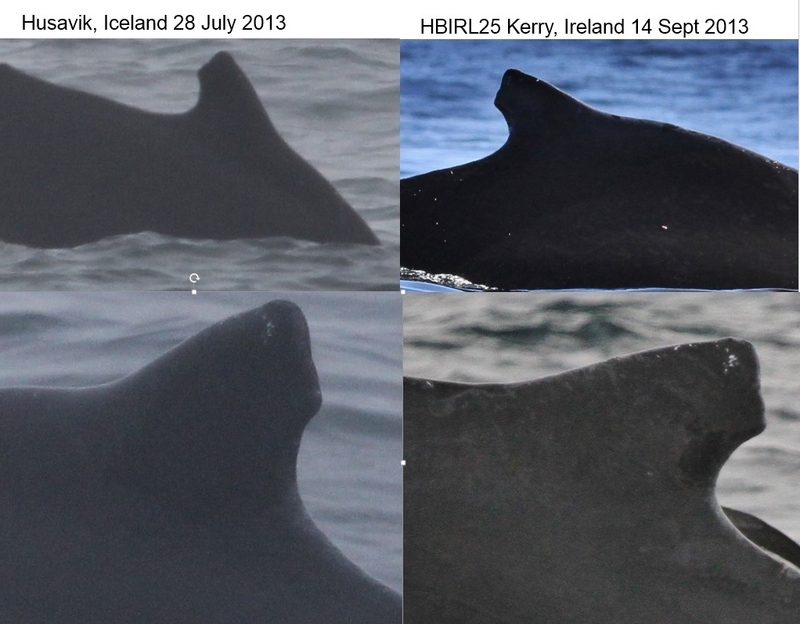 Two of these whales have been recorded outside of Ireland, in Norway, the Netherlands and Gibraltar but three Irish humpback whales have been photographed in Iceland. Two whales recorded off west Kerry in September had been earlier recorded in Iceland in June and July, seven weeks earlier. Last year (2017) HBWIRL#25 was recorded once again in Kerry, but had not been seen since 2013.